It's no secret that Google stores your search history in order to provide you with targeted ads when surfing the web. What's even more interesting (or freaky) is that your Google Now voice searches are also being stored, and you can actually listen to them right now. 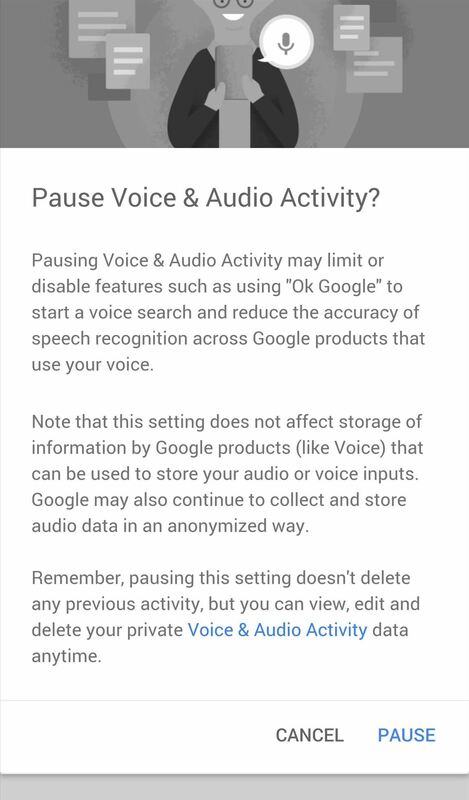 So why do they need to store your voice recordings? According to Google, it's to "help recognize your voice and improve speech recognition." But if this level of data mining doesn't sit well with you, here's how you delete your recordings and prevent them from being stored in the first place. 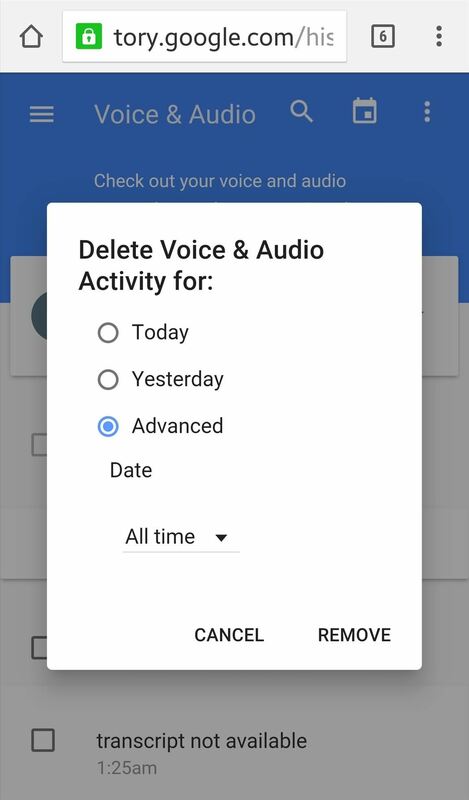 Whether you're on your desktop or mobile device, the process is exactly the same for deleting your voice search recordings and disabling the feature altogether. 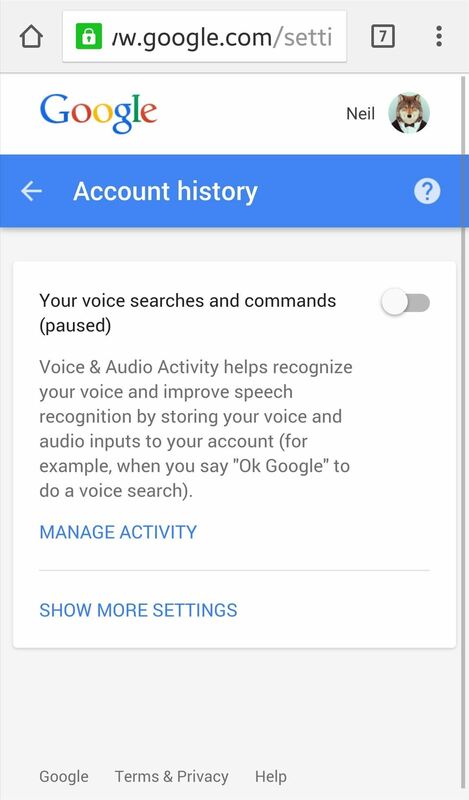 Begin by navigating to Google's Voice & Audio Activity page. From here you can scroll through your voice search history and hear it for yourself. 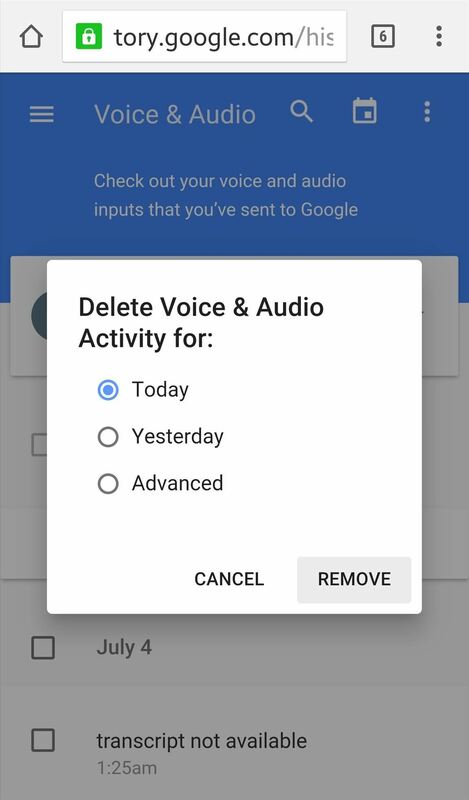 You can also choose to delete individual voice recordings, select a specific date's results for deletion, or delete everything. 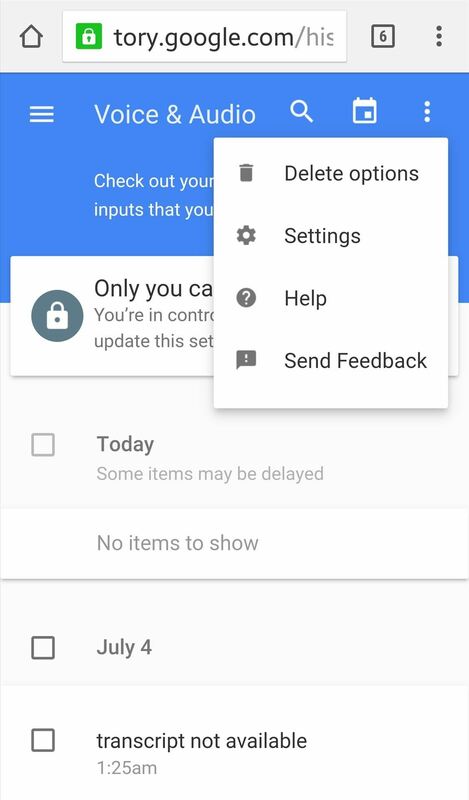 To delete in bulk, click or tap the three-dot menu icon and select "Delete options." There are a few deletion options, but by selecting "Advanced," you can remove activity for "All time." From the same page, select the three-dot menu icon once more, but this time choose "Settings." 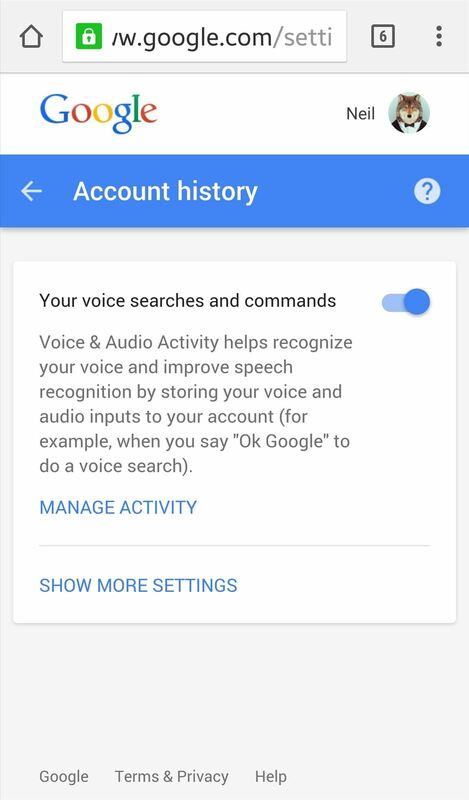 This is where you will be able to disable the voice search history. Once you do toggle off this feature, you will need to confirm on the following page. 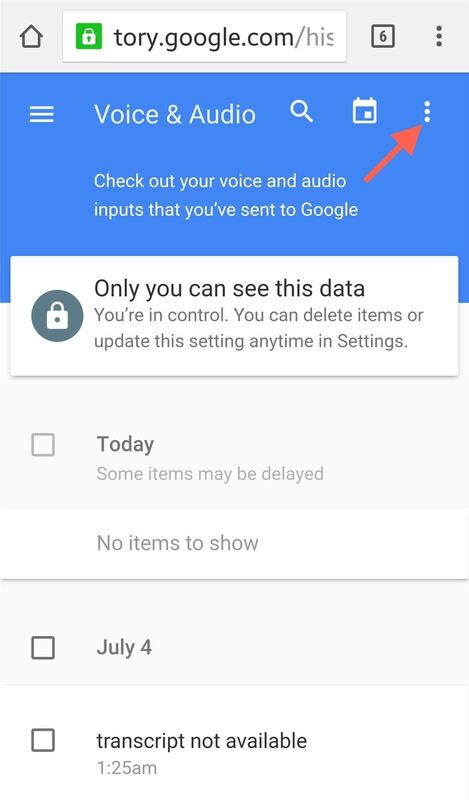 As stated before confirming, disabling this will also disable the "OK Google" hotword detection (on your smartphone), and although it won't save audio recordings anymore, Google does state that they may "continue to collect and store audio data in an anonymized way," which still sounds a little sketchy to me. Follow Gadget Hacks over on Facebook, Google+, and Twitter!